BRADSHAW, JOSEPH Sapper 33100 20/11/1916 34 Royal Engineers United Kingdom D. I. 6. 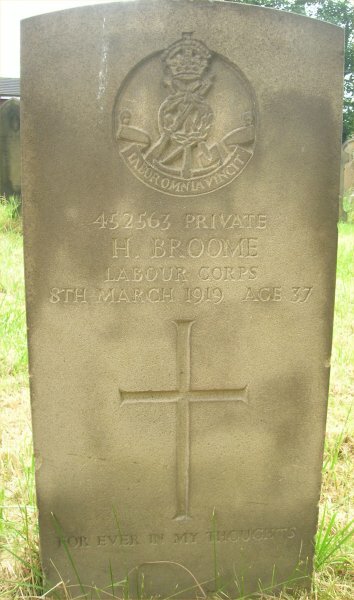 BROOME, H Private 452563 08/03/1919 37 Labour Corps United Kingdom 11. 23. 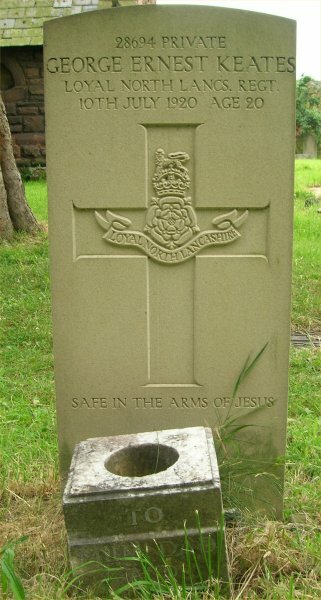 BROWN, J Private 17049 28/12/1917 - Coldstream Guards United Kingdom B. 6. 22. 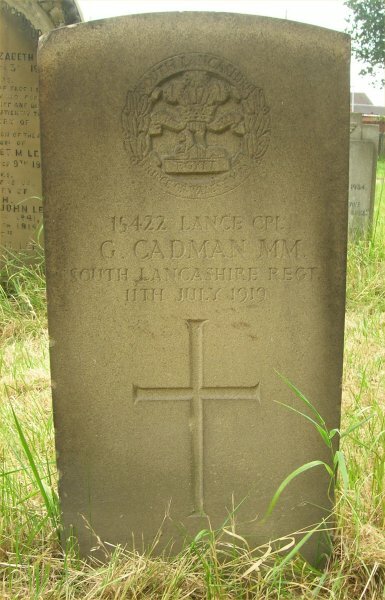 CADMAN M.M., G Lance Corporal 15422 11/07/1919 - South Lancashire Regiment United Kingdom 11. 17. 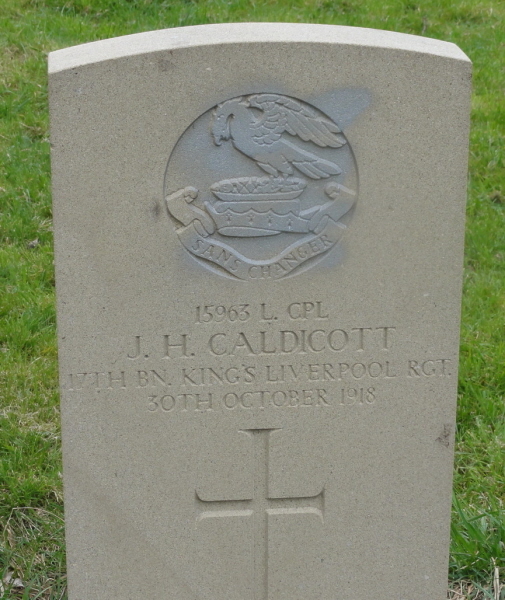 CALDICOTT, J H Lance Corporal 15963 30/10/1918 - The King's (Liverpool Regiment) United Kingdom A. 13. 3. 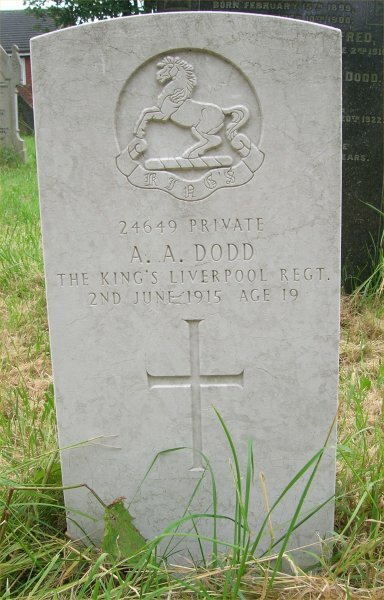 DODD, ALFRED ALEXANDER Private 24649 02/06/1915 19 The King's (Liverpool Regiment) United Kingdom Old. 9. 27. 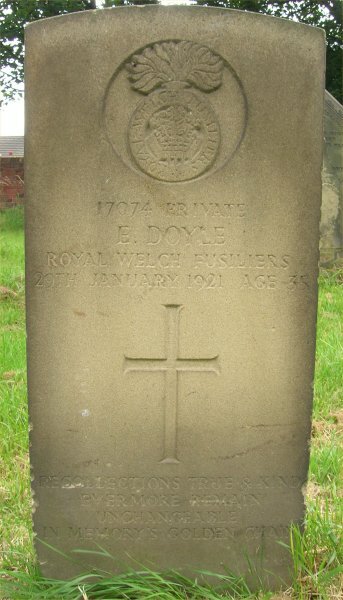 DOYLE, EDWARD Private 17074 29/01/1921 35 Royal Welch Fusiliers United Kingdom Old. 5. 25. 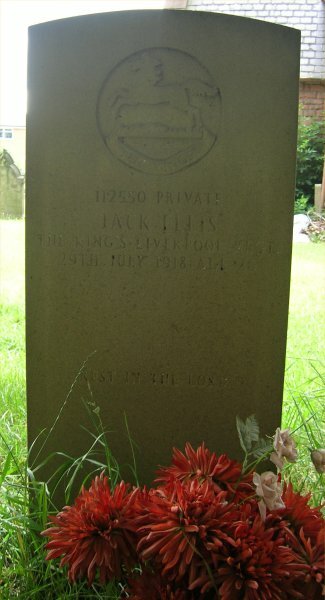 ELLIS, JACK Private 112550 29/07/1918 26 The King's (Liverpool Regiment) United Kingdom C. 4. 12. 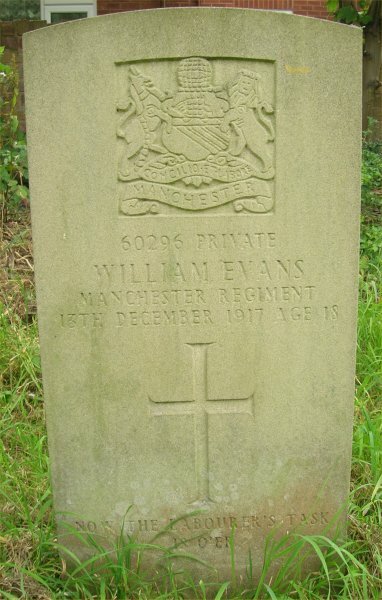 EVANS, WILLIAM Private 60296 13/12/1917 18 Manchester Regiment United Kingdom Old. I. 10. 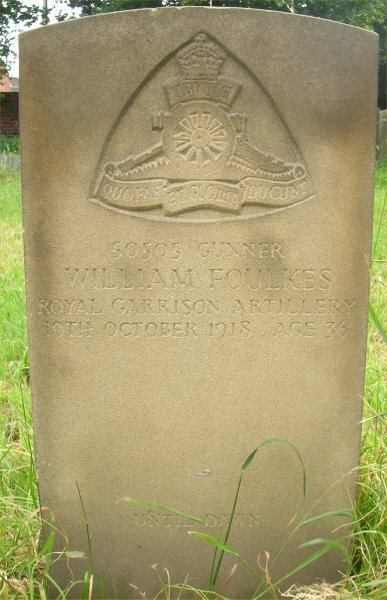 FOULKES, WILLIAM Gunner 50505 19/10/1918 36 Royal Garrison Artillery United Kingdom Old. 6. 30. 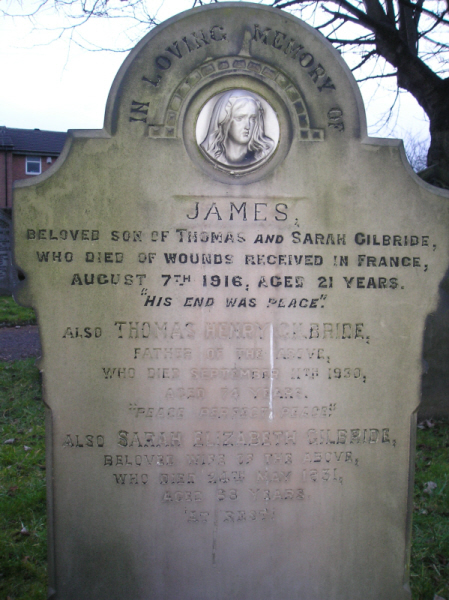 GILBRIDE, JAMES Private 12494 07/08/1916 21 Cheshire Regiment United Kingdom B. 7. 19. 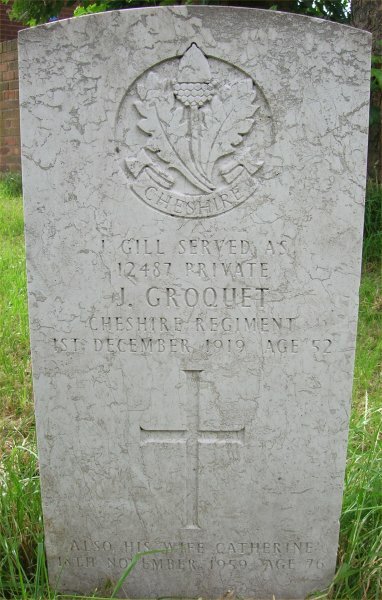 GILL, J Private 12487 01/12/1919 52 Cheshire Regiment United Kingdom A. 13. 10. 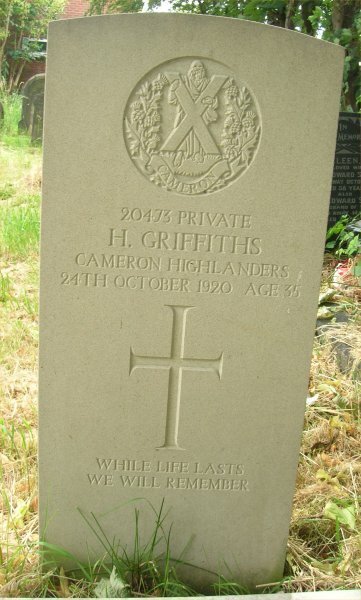 GRIFFITHS, HENRY Private 20473 24/10/1920 35 Cameron Highlanders United Kingdom Old. 10. 39. 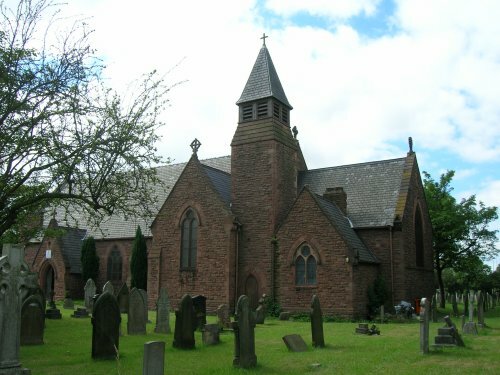 HEUNER, JACK Able Seaman C/JX153408 05/02/1944 22 Royal Navy United Kingdom South of church. 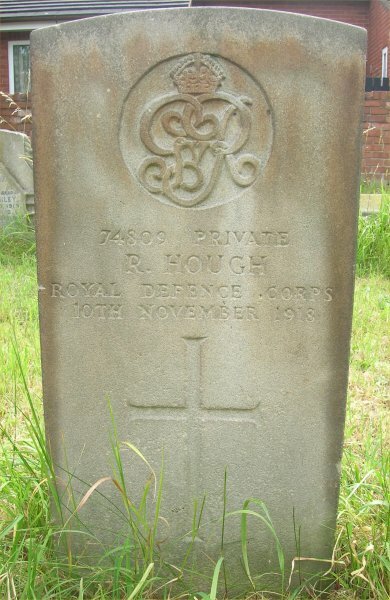 HOUGH, R Private 74809 10/11/1918 - Royal Defence Corps United Kingdom Old. 3. 15. 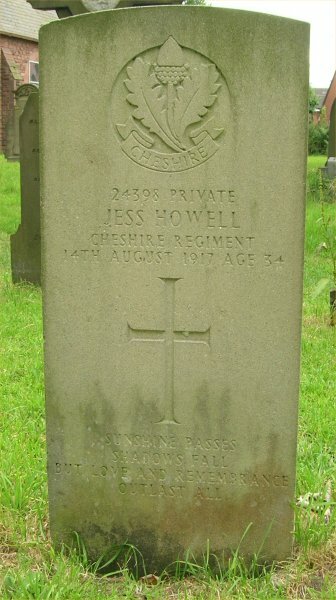 HOWELL, JESS Private 24398 14/08/1917 34 Cheshire Regiment United Kingdom C. A. 2. 3. 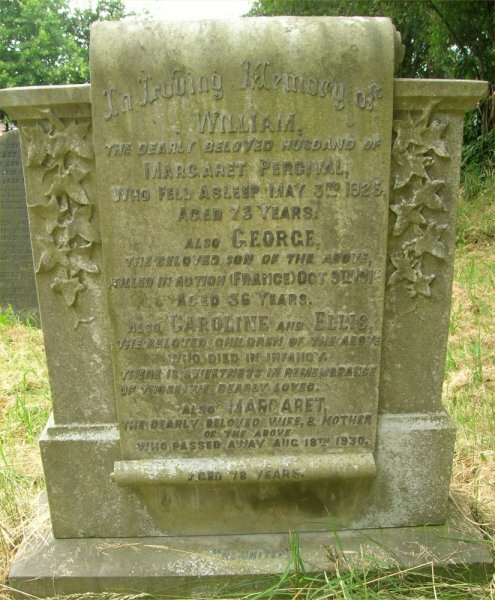 KEATES, GEORGE ERNEST Private 28694 10/07/1920 20 The Loyal North Lancashire Regiment United Kingdom C. I. 16. 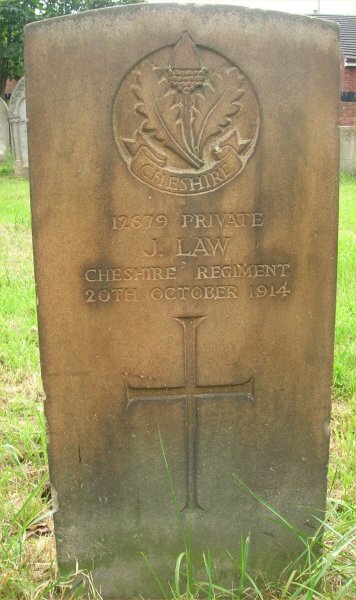 LAW, JOSEPH Private 12679 21/10/1914 31 Cheshire Regiment United Kingdom Old. 6. 12. 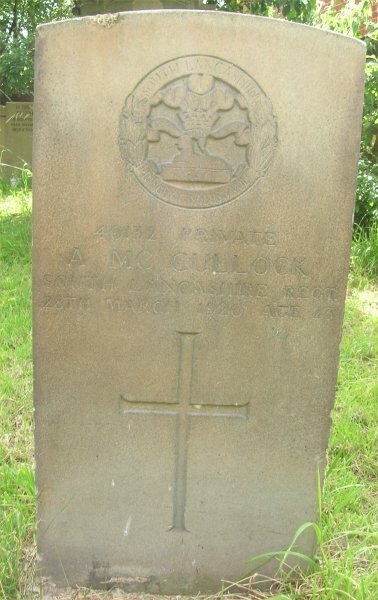 McCULLOCK, ALFRED Private 40132 28/03/1920 23 South Lancashire Regiment United Kingdom A. 3. 7. 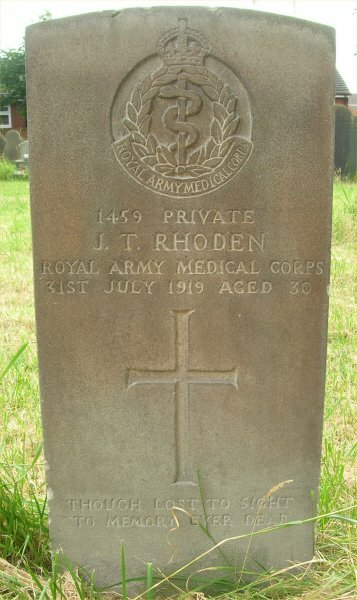 RHODEN, J T Private 1459 31/07/1919 30 Royal Army Medical Corps United Kingdom 12. 14. 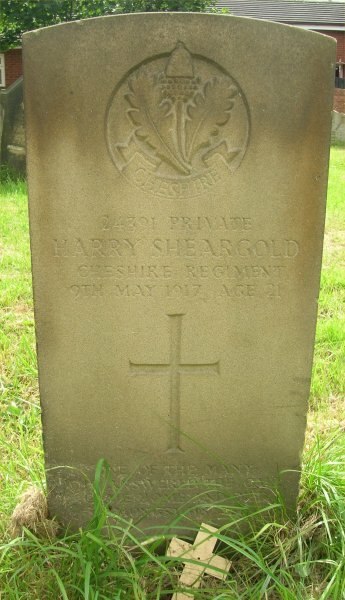 SHEARGOLD, HARRY Private 24391 09/05/1917 21 Cheshire Regiment United Kingdom Old. 6. 10. 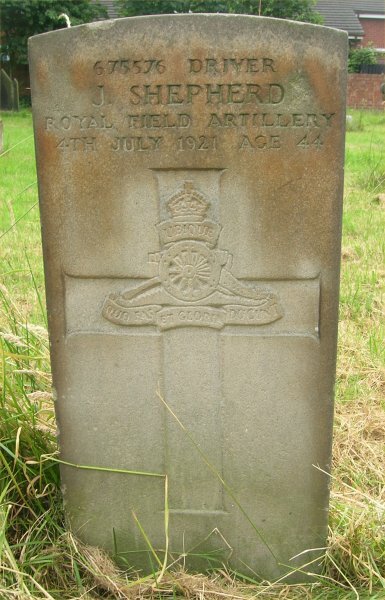 SHEPHERD, JOSEPH Driver 675576 04/07/1921 44 Royal Field Artillery United Kingdom Old. 9. 10. 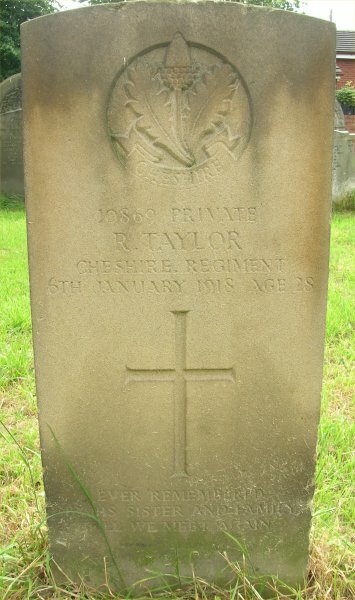 TAYLOR, ROBERT Private 10869 06/01/1918 28 Cheshire Regiment United Kingdom Old. 6. 8. 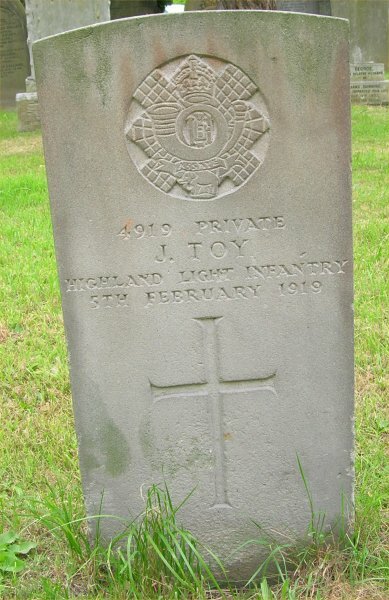 TOY, JOHN Private 4919 05/02/1919 - Highland Light Infantry United Kingdom B. 10. 15. 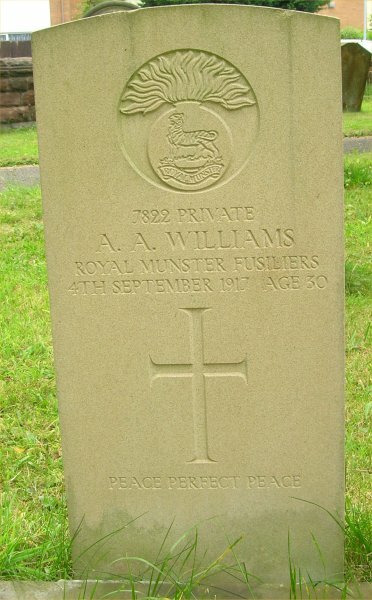 WILLIAMS, ARTHUR AARON Private 7822 04/09/1917 30 Royal Munster Fusiliers United Kingdom B. 7. 21. 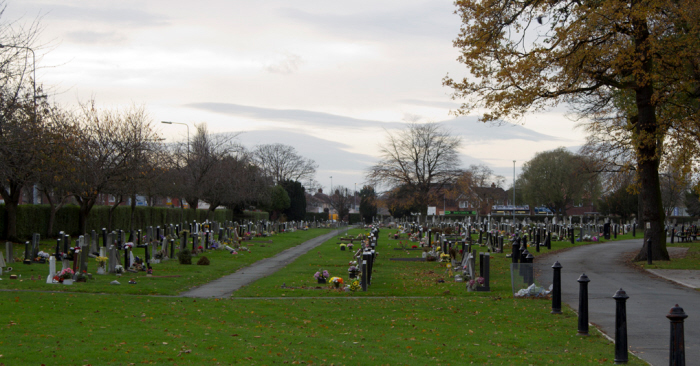 Many thanks to Graham Arnold who has carried out extensive research to try to recover the original plans of the graveyard, which seems to no longer exist. CWGC must have had a copy at one time, as they give precise gid plan references to the plots. A copy of their inspection report carrying these references is below. 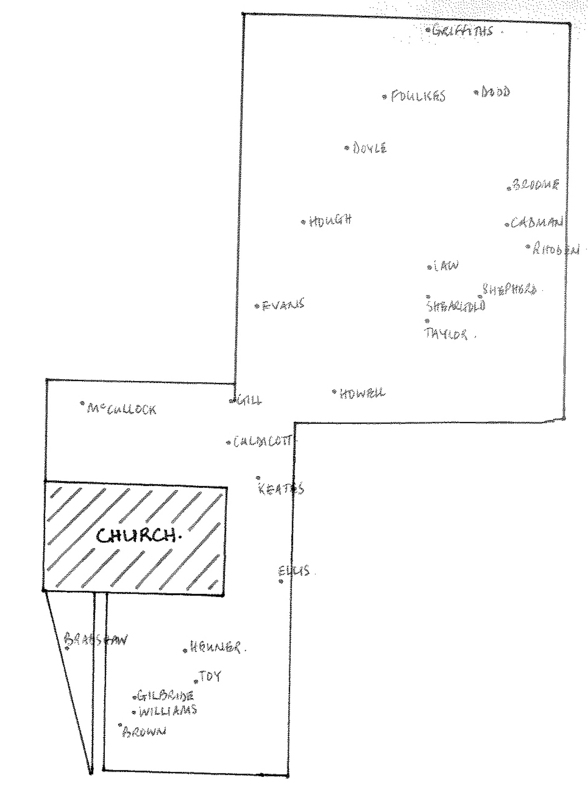 Also included is Graham's sketch of war grave plot. Thanks to Graham for both documents. HILL, T W Private 1296 18/04/1916 - Royal Army Medical Corps United Kingdom M. 79. 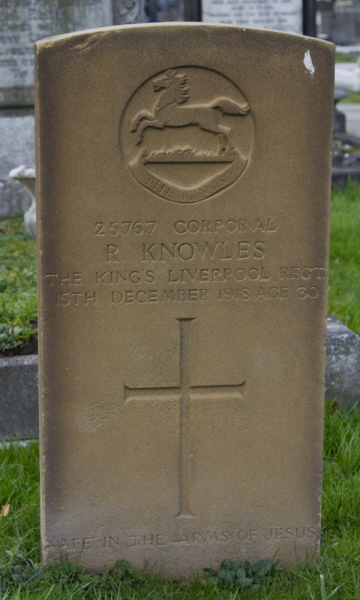 KNOWLES, RICHARD Corporal 25767 15/12/1918 30 The King's (Liverpool Regiment) United Kingdom B. 59. 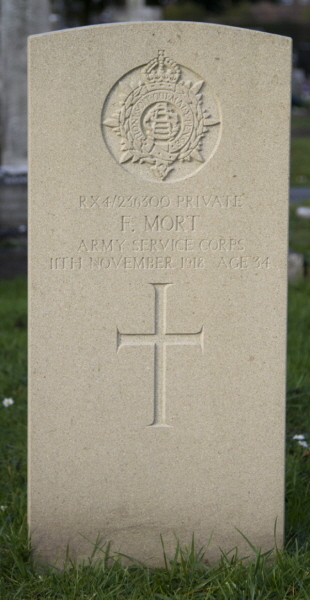 MORT, FRED Private RX4/236300 11/11/1918 34 Army Service Corps United Kingdom B. 57. 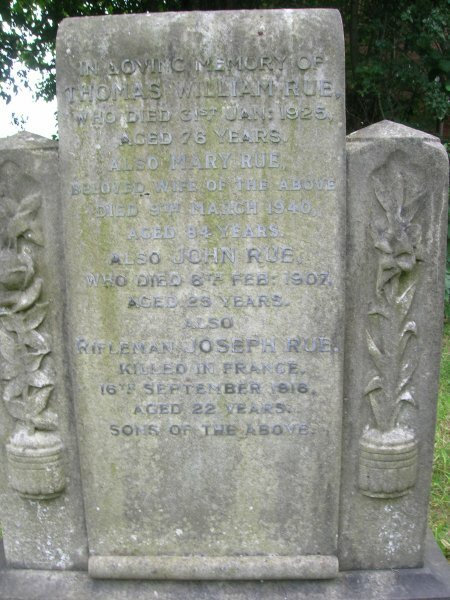 ROBERTS, GEORGE ERNEST CURETON Sapper 873 01/11/1918 27 Royal Engineers United Kingdom F. 43. 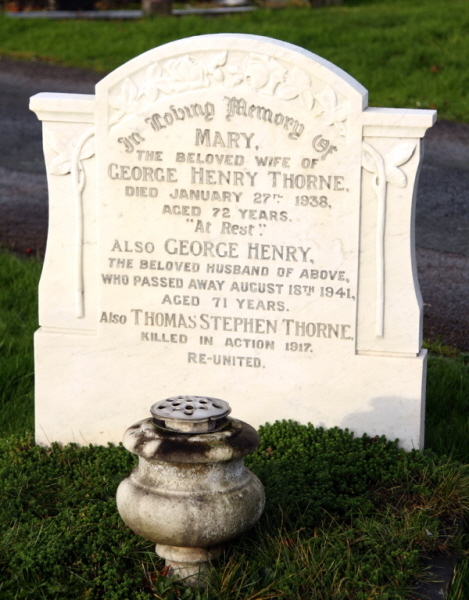 THORNE, THOMAS STEPHEN Stoker 1st Class K/37442 22/12/1917 23 Royal Navy United Kingdom J. 1.